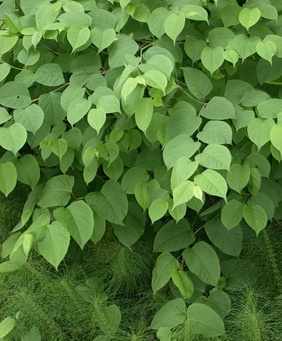 NOT everyone has heard about Japanese knotweed – but it's serious and a threat in Warminster. Steve Dancey was told about the invasive plant’s foray into the centre of Warminster while canvassing in Sambourne Gardens. "I was expecting people to come up with more run of the mill gripes about parking, bins or litter but it is this rapidly growing and destructive plant which is causing a worry among some in this part of the town," said the Warminster west candidate. "The plant can grow very very rapidly and even burrow its way through concrete squeezing out native plants and other garden favourites on its way. "It can be treated but it is an expensive and time consuming business." After speaking to residents Steve located some of the offending plants near the play area. "There is a certain irony in this in that Sambourne Gardens is of course built on the site of Harroway Nurseries which closed at the end of the 1960s. "There area in question has some of the best soil in the area – so no wonder so many folk are worried as there are so many keen gardeners on this estate."